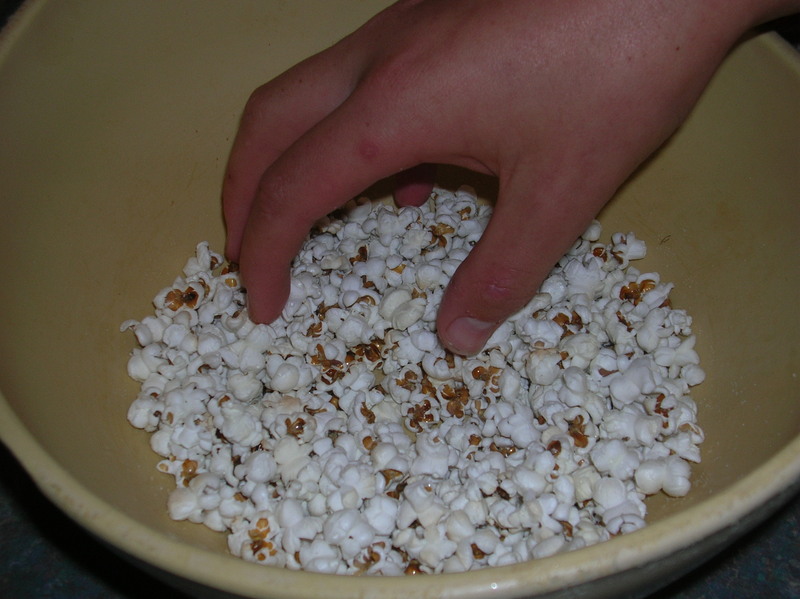 A fun and easy plant to grow and enjoy is pop corn. We’ve been growing the blue and pink varieties for quite a few years. We decided to have some after dinner last night, as we were with some other members of the family who hadn’t tried it as yet. 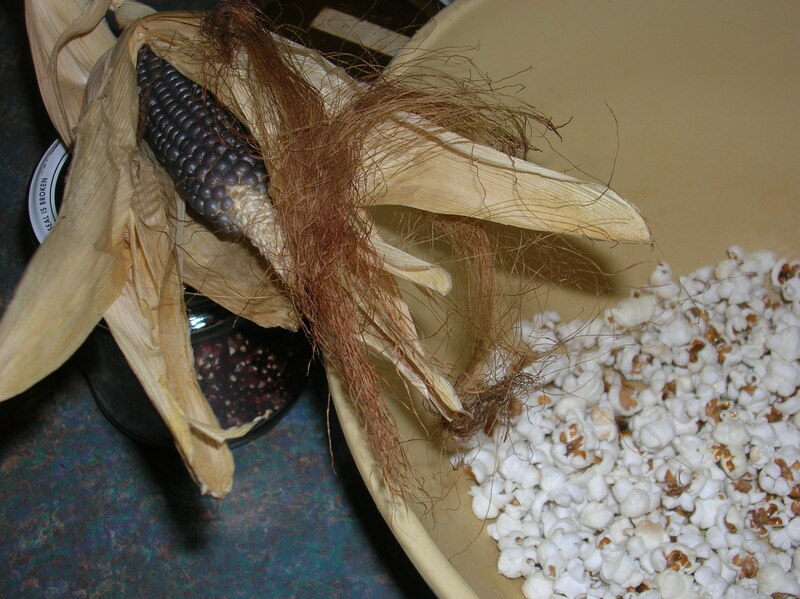 Here are the cobs, alongside the popped corn. Much to everyone’s disappointment the corn is white once it’s popped. Not that it stopped anyone from eating it! My nephew is taking the cobs and popped corn (what’s left of it) to show his agriculture class teacher today.